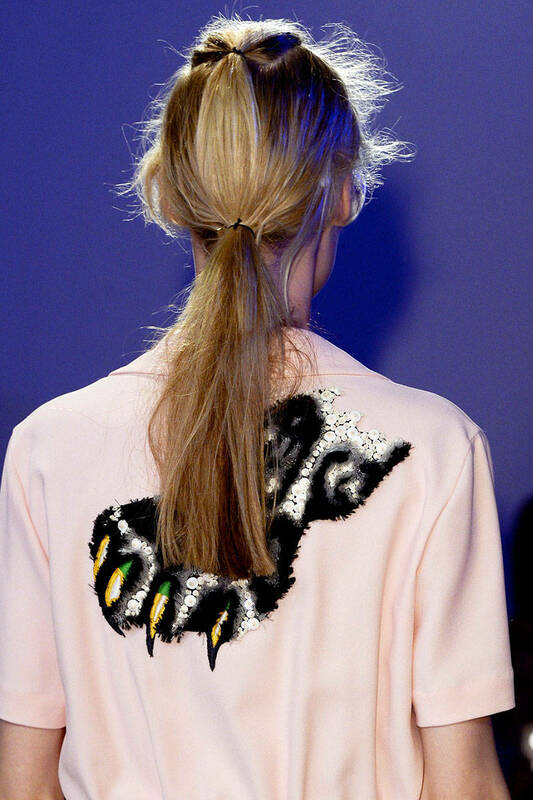 Ponytails are one of the favourite hairstyles for the coming spring 2015 season making the headturning comeback with famous sumo knots at New York Fashion Week. Indeed the whole summer and previous seasons we were talking about loose and relaxed hairstyles making much accent on beach waves, short bob haircuts and pixies. 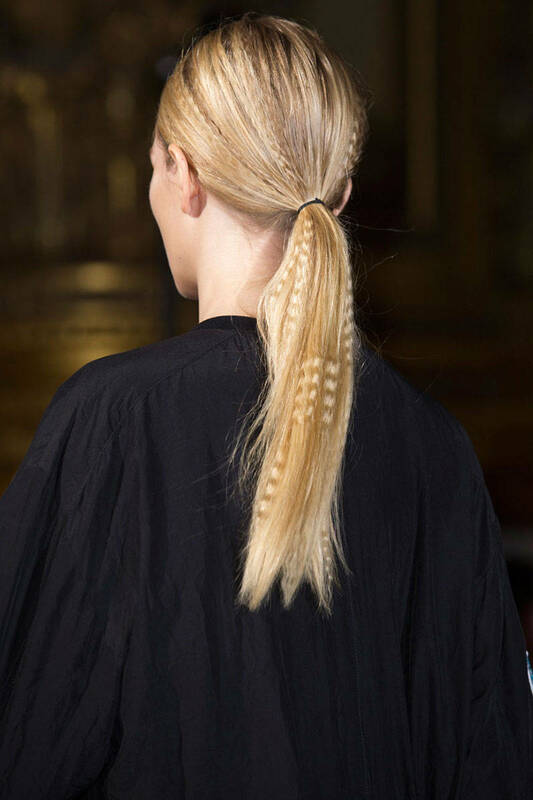 While now we clearly can see the long hairstyles tendency for 2015 and it's high time to let your tresses grow. 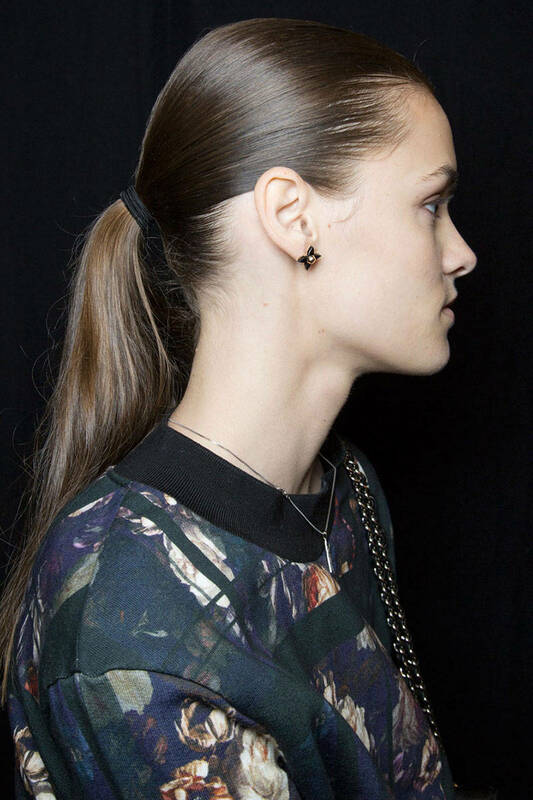 For sure boho waves discussed before are extremely trendy but what makes ponytails so unique is their simple design and elegant looks. 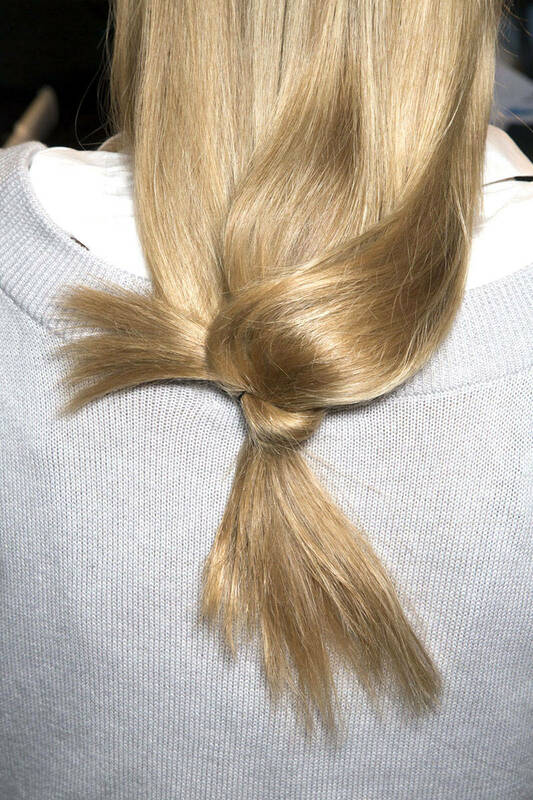 Besides ponytails can save your hours of styling and make you look amazing even on bad hair days. For ladies with greasy hair, the ponytail popular hairstyles are a real fortune, cause you can forget about washing hair every now and then and style a gorgeous ponytail instead. So let's have a look at runway hairstyles pictures. Well, there is not much left to comment here, cause perfect hair condition, side swept ponytail design and the tresses fixed with hair strand speak for themselves. 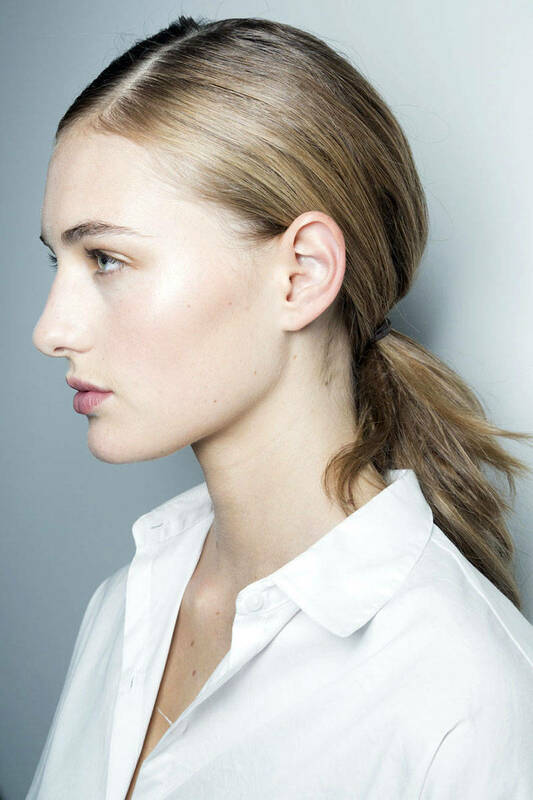 Rag & Bone ponytail hairstyles 2015 Here is a curious ponytail design, that doesn't appear to be a ponytail at first sight. Very loose and very low, just the ends tightened together in a node makes it look unique. Antonio Corral Calero ponytail hairstyles 2015 Another interesting design for spring 2015. The hairstylist use second hair ribbon at the nape to get loop effects and I must say that it looks effective. 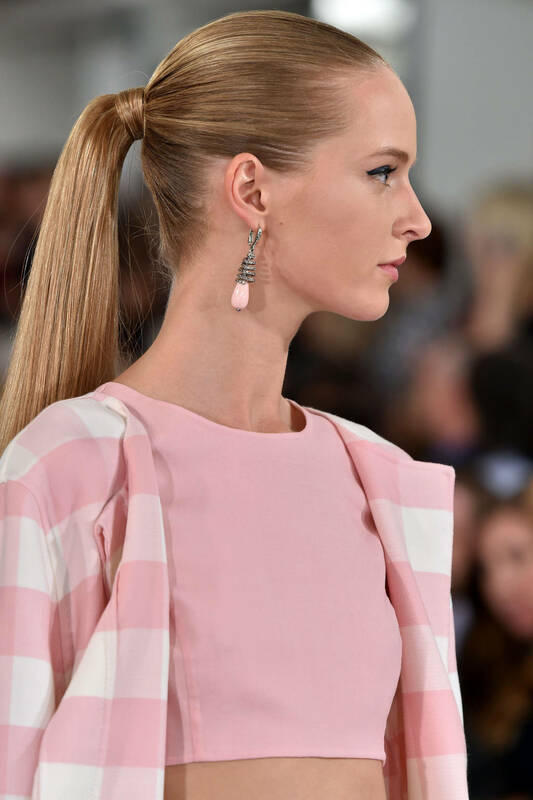 Oscar de la Renta ponytails 2015 Middle height ponytail to accentuate eyes, gaufre on the tresses and tightly slicked back hair. This is the trend! 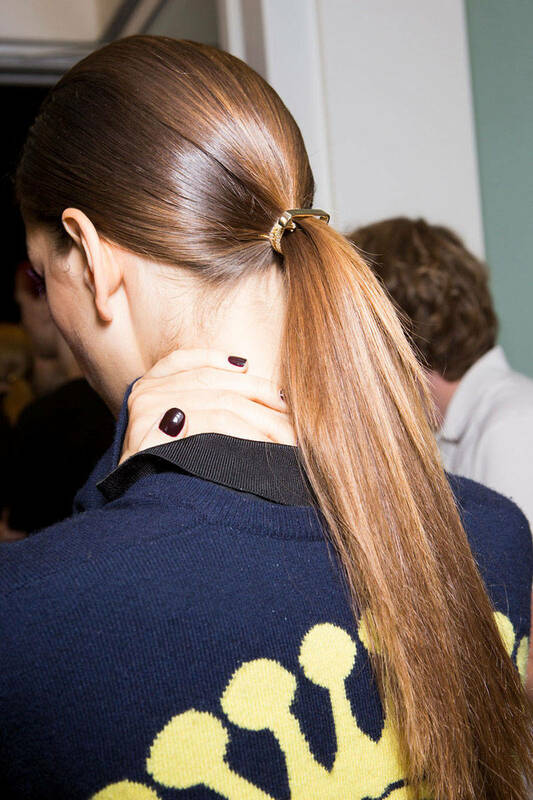 Cushnie et Ochs ponytails 2015 Here is a closer look at loop effect ponytails by Antonio Corral Calero, the extremely straight tresses being the zest of the design. 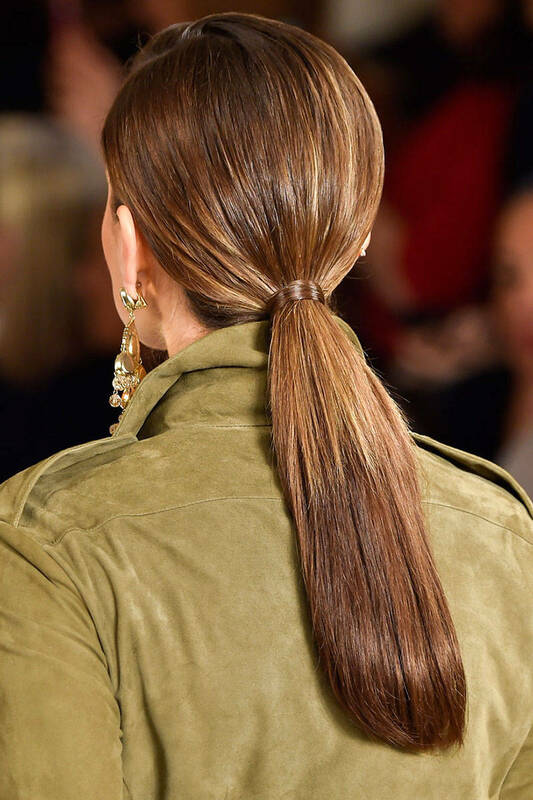 Giles ponytails 2015 Acquire relaxed spring 2015 looks with such double ponytail hairstyle, that is above all styled messy to look more on trend.